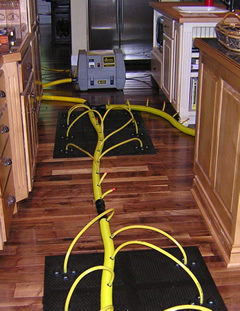 Water Damage Repair, Water Removal in Boca Raton. Water damage is hazardous to your health and dangerous for your home or business, therefore time is of the essence when it occurs. If treated quickly, you can minimize the damage, reduce restoration costs and prevent the growth of mold, and other contaminants. When you call (561) 271-4523 , anytime of the day or night, you will be greeted by Eric - company owner, who will help you with your water damage loss. We work 24 hours a day 7 days a week and have a response time of 45 minutes or less from the time you call.